Matthew Poole recently graduated from University of Hertfordshire, UK with First Class Honours in BSc Psychology. He will go on to study an MSc in Psychological Research. 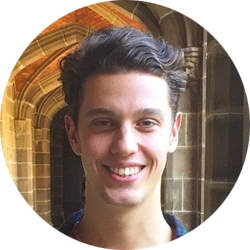 A keen traveller, Matthew undertook a study abroad year at Victoria University, Melbourne, in 2014, and has explored the east coast of Australia, Portugal and Samoa. Having lived in North London during his undergraduate degree, Matthew’s knowledge of London and the surrounding area is vast. Matthew became involved with ASA in 2016 and manages tours to Canada and England.